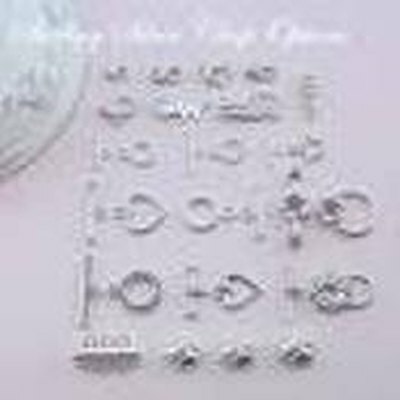 Jewelry clasps hold necklace and bracelet ends together. Choosing a type of clasp depends on function as well as the option to incorporate the look into the overall design of the piece of jewelry. Some clasps secure better than others do, though these types may be more difficult to manipulate. Clasp types throughout history and cultures continue in use today. Six of these clasps are the most popular. 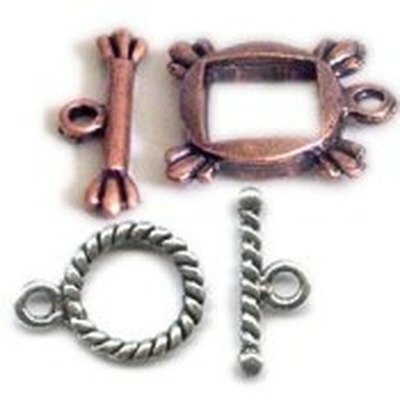 Anyone owning a necklace or bracelet likely secures the piece of jewelry using one of these types of clasps. A box clasp holds one end of a chain with a fitted boxed housing with a notch in it. A lever formed from a flat piece of metal folded over fits into the notch like a tongue when compressed. Releasing the folded metal, once it's inserted into the notch, secures it inside the box. To release this type of clasp, simply press the two ends of the protruding lever together and pull out of the box. The folded metal spring inserts in the notch of the box housing. One of the most traditional and easy-to-use clasps is the hook and eye. The hook attached to one end of the bracelet or necklace secures the other end by hooking through the eye. One problem with this type of clasp is the possibility of the hook stretching and coming apart from the eye. A traditional hook and eye clasp. The lobster clasp opens by pressing a hinge, which opens a ring into a claw shape. 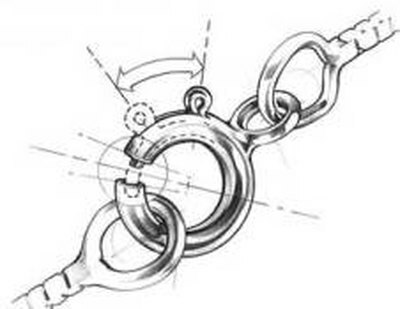 The claw catches a loop or ring on the other end of the chain, securing the two ends together. 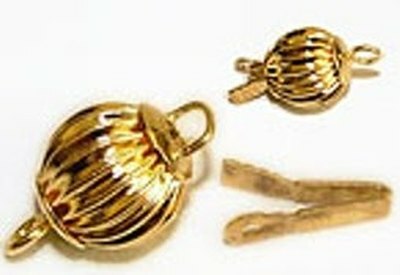 Used to fasten heavier pieces, a spring-loaded device keeps the clasp secured. With an appearance like its namesake, the lobster claw clasp is one of the most secure choices in jewelry clasps. Lobster clasp opens by pressing a hinge that opens into a claw. 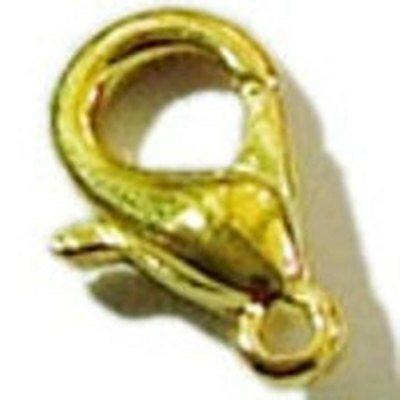 Another of the traditional and popular fasteners is the "S" hook and clasp because of its simplicity and ease of use. Both ends are shaped like an "S" and either end may fasten into the ring attached at both ends of the chain. S Clasp secures at either end. The spring ring clasp opens by pulling the arm of the clasp backwards by use of a spring-loaded apparatus. When opened, the ring clasp inserts over a loop on the other end of the chain. Spring ring clasp opens to secure a loop that holds the chain together. A toggle clasp has an open, centered component attached to one end of the chain. This component can be round, square or oval. The other end of the chain fits with a T-bar, which inserts into the hole. The toggle clasp using round or square openings are easier to put on and take off and stay more secure than the one with an oval opening. Toggle clasp uses a T-bar to insert into an open center.